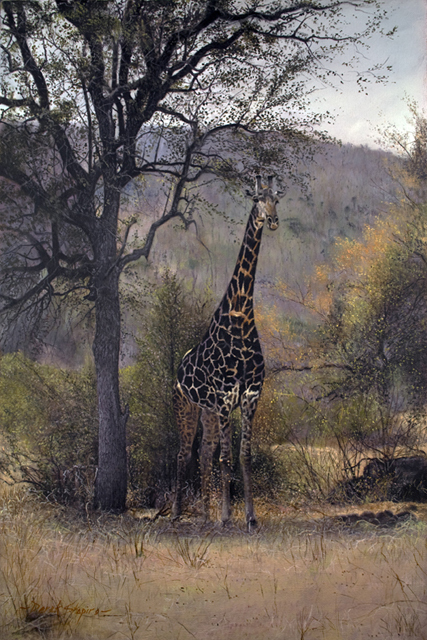 An oil painting of a South African Giraffe. 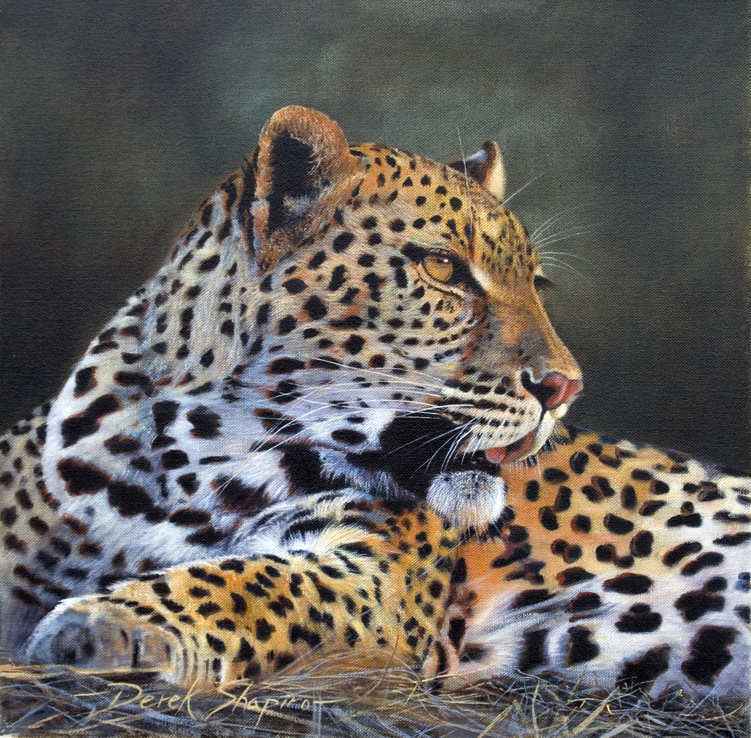 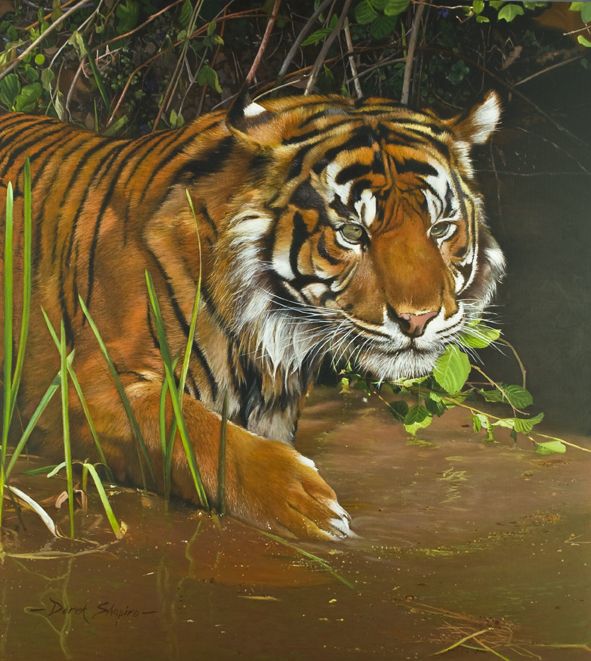 Available to purchase, please click here. 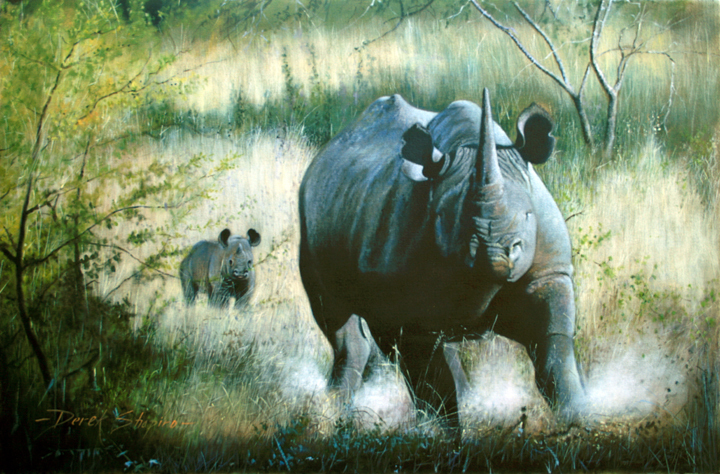 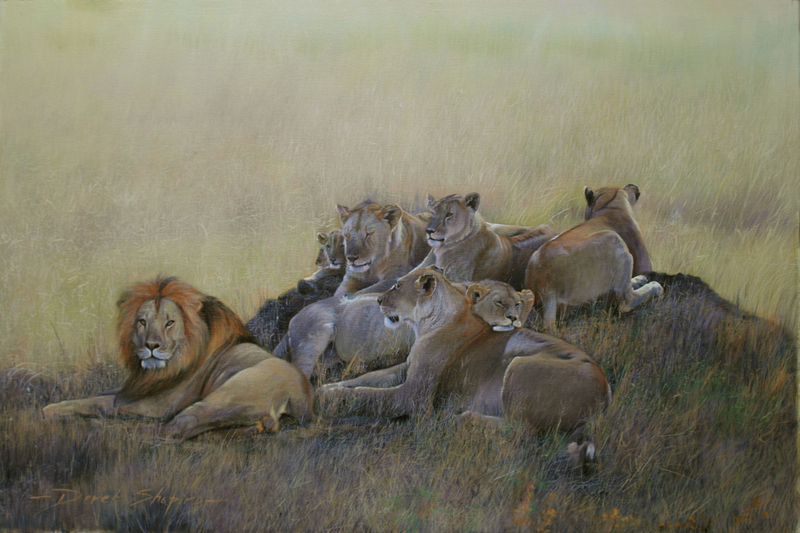 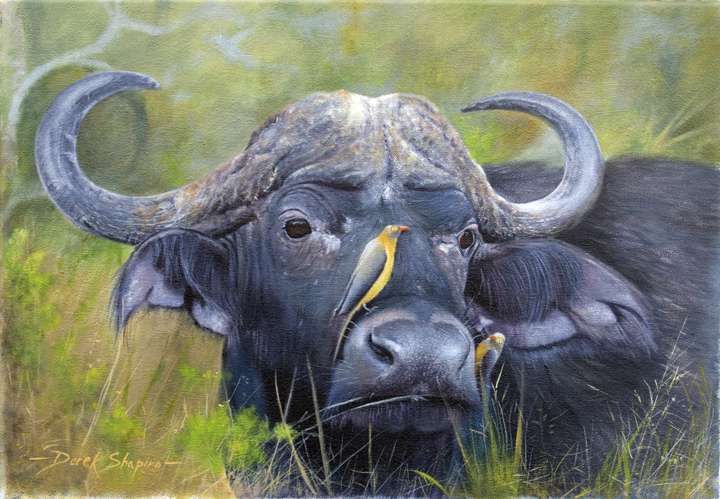 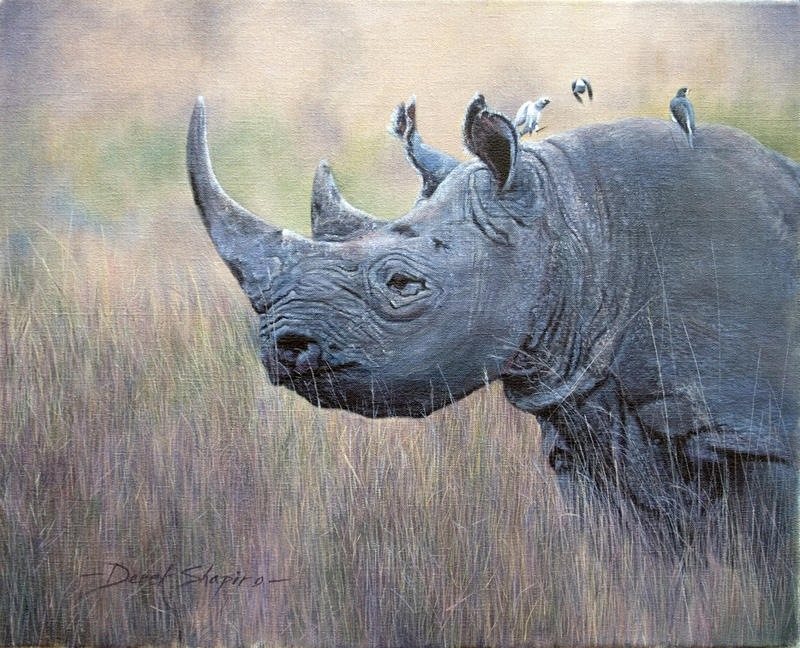 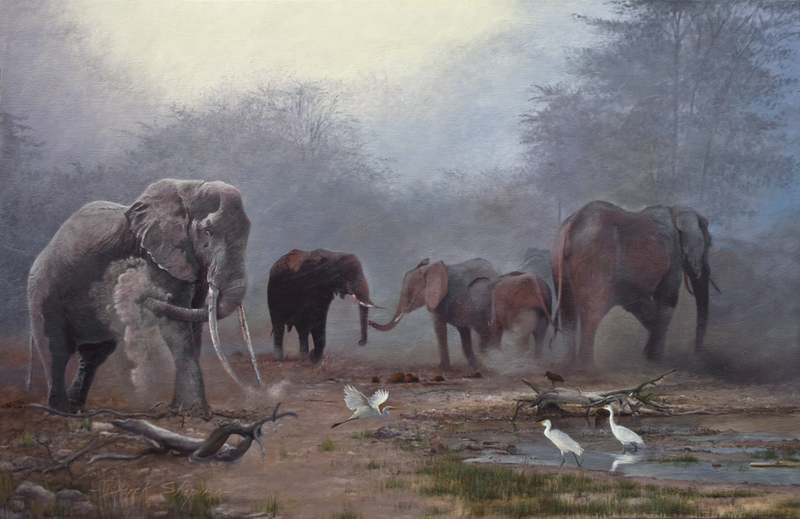 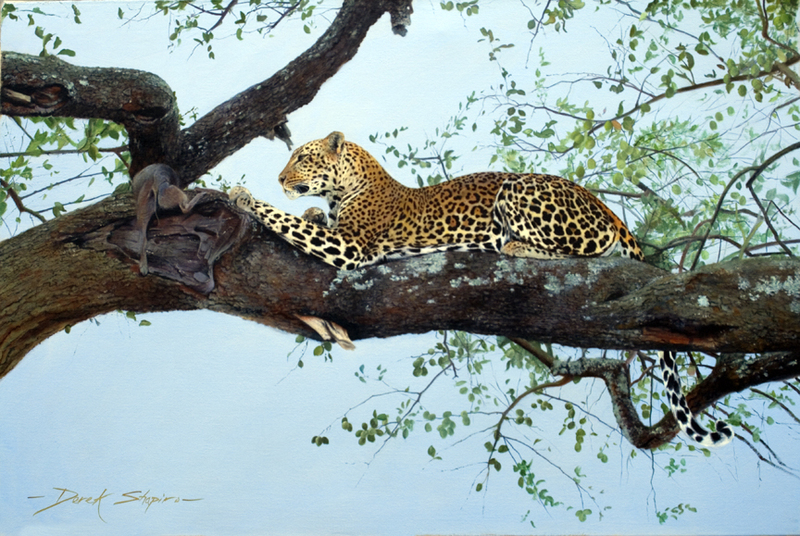 This oil painting displays the endangered Black Rhino in full charge as it protects it’s calf from marauding predators, it was commissioned by a private client.